Kérastase Paris has been the Hair and Scalp Expert since 1964, offering continuous innovation in its product creations and prescriptive solutions for every haircare need. 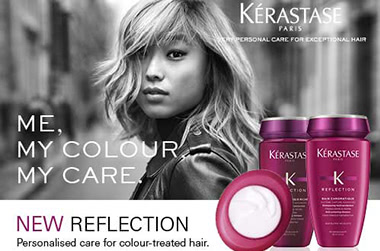 Kérastase Paris is known for its iconic haircare products and professional rituals which offer tailored solutions for the sublime transformation of hair. Showing 20 products of 83. Good product. Not too heavy for my super fine hair and smells nice which is a bonus.